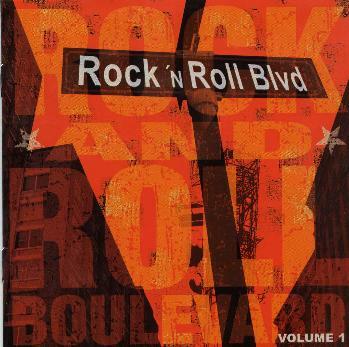 Various Artists - "Rock and Roll Blvd Volume 1"
Buzzville Records have put together a quite good double CD compilation with 33 bands, many providing Buzzville with previously unreleased tracks (16). This gives one a great overview of the heavy rock-stoner-fuzz rock scene with mostly European bands and a lot from Sweden (Generous Maria, Sparzanza, Blind Dog, Space Probe Taurus, Pilotos, Electric Earth, The Quill, Speedfreaks). Quite a few bands that I had never heard of as well, such as Gonzales, Evil Red, Desert Sun, Sir Hedgehog, MrMama, Alix, Mezzanine, Allhelluja, Hulk, Rite, Carlos, Rickshaw, DirtyBlood, El Guapo Stuntteam, Kayser, Cube and The Last Van Zant. The most known bands are probably Peter Pan Speedrock (killer track, Damn you all to Hell) and The Quill. If you find this one at a good price, it's well worth it! For more information you can visit the Buzzville Records web site at: http://www.buzzville.be.